This winter was an eventful one for San Diego Padres’ minor league first baseman Brad Zunica. He was befriended by a current major league veteran and also worked on a new swing path to the baseball. So far, there are positive early returns. You need to adjust in the game of baseball, or your career will not develop. Brad Zunica is a first baseman at the Double-A level, and he has been on fire to start his 2019 season. 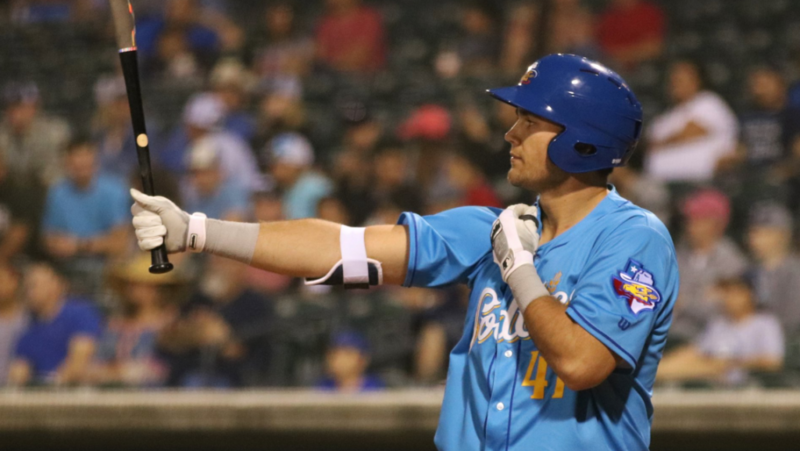 The left-handed hitter smashed two majestic home runs on Tuesday in Amarillo, and that gives him a total of five on the season in only six games. He is off to a 10-for-22 start with ten runs batted in for the Sod Poodles, and people are taking notice. Drafted out of a small school in Florida in 2015, the 15th round selection had to grind to get all the way to the Double-A level. The important thing to remember about Zunica is that he embraces the baseball grind and wants to get better every day. He has worked hard to get to where he has in the system. It is nice to see the rewards coming. This winter, the mammoth-sized first baseman tried something new with his swing. He felt that at times last year, he was way too long with his swing path to the ball. 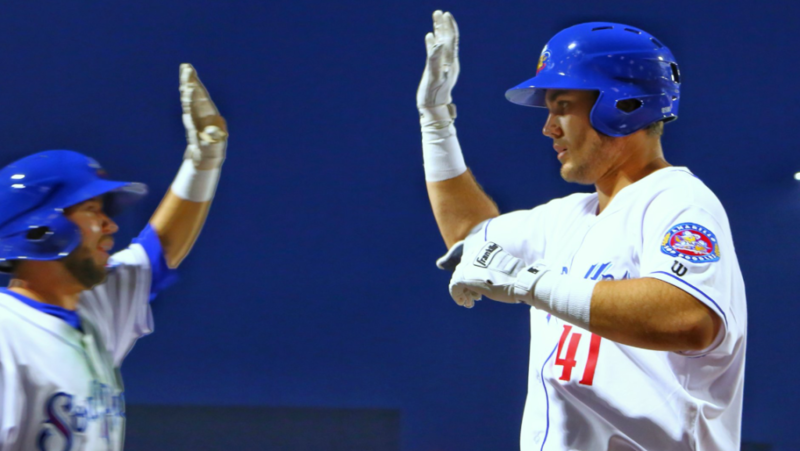 Zunica put up a .769 OPS and crushed 17 homers last season in Lake Elsinore, but he knew he was capable of more. “I worked on cleaning up some of the length in my swing, and it’s good to see early results,” Zunica told EVT after Tuesday’s game. He is humble, but the truth is he started his training two months earlier than usual. At a training facility called Athletic Edge Sports in Lakewood Ranch Florida, Zunica was mentored of sorts. He did not do anything different in terms of conditioning or working out, but he did absorb what he saw from other players training at the facility. “Seeing how the guys I worked out this offseason went about their business really rubbed off on me in a positive way,” Zunica said. At this complex in Florida, the first baseman was befriended by a current major leaguer. Ian Desmond of the Colorado Rockies and Zunica hit it off, and the interactions between the two have been very positive. “Ian Desmond has a big impact on the way that I view things. Pushing me in different ways to get the most out of me and showing me how to be a true professional and go about my business,” Zunica stated. The two stay in contact via text to this day. This early mental work helped Brad focus on the 2019 season.